It's hard to find a good Western these days. The events and mindset are so far removed from our actual society, it is hard to channel that mentality and pull it off in a believable and unique fashion. Anyone can write another Lone Ranger story, but to create a whole new world of characters and have them interact takes a special talent. Elmore Leonard has this talent. I appreciate his Western much more than Louis L'Amour (whom I have always felt wrote above his target audience). But there is a new author who is putting out some really great Westerns, and writing them quickly. Perhaps you have heard of his Mule Tamer series? If not, you are missing out on some exceptional reading. The author's name is John C. Horst, and this review is about his current novel, Allingham. The characters created for this story are superb. The flaws that each one has are so identifiable that everyone who reads this book will find a little bit of themselves in here. 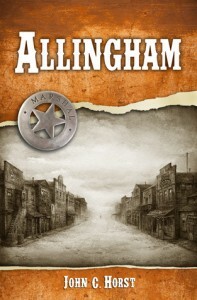 Allingham is a tough as nails, by the book, no BS police officer in Hell's Kitchen in the early 1880's. You get some glimpses into his aloof demeanor and his introverted life style. As these first events unfold, Allingham is subject to a trauma which will ultimately save his life, and his humanity. We see Allingham as a machine: go to work, be efficient, socialize little, go home to a meager existence, repeat. 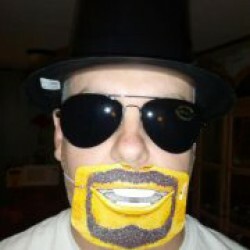 Now he has some small touches of personality which give a glimpse into the man behind the mask. The trauma he is subjected to, and the coinciding diagnosis are what convinces him to give up his livelihood in Manhattan and head to Canyon Diablo in the Arizona Territory, and to ultimately give up his life. He is so driven to be a successful lawman, that he wants to go out swinging for the fences. In this cesspool of a community called Canyon Diablo, we have the usual sort of characters: miscreants, whores, thieves, and murders. But behind that, we have people struggling for an existence, children trying to find their way, and mother's looking for a way out. In this miasma of chaos, Allingham will find a group who will cling to his magnetism. He is the rock that anchors the group and sets about the rebuilding of a town, and their lives. His rag-tag group of Deputies each has their own personal demons, some they can overcome and some that will consume them. Allingham, too, will find revelations, heartache, and a renewed faith in human kind. He'll find other things too, but that would be a spoiler. Now I won't go into the intermingling of the characters and dive deep into the plot. If you aren't convinced by now to read it, nothing I can type will change your mind. But hopefully, most of you have already skipped away from my review, headed to Amazon.com and bought yourself a physical or ebook copy of this wonderful book. I understand this may be the beginning of another glorious saga from Mr. Horst. While you are on Amazon, add The Mule Tamer to your cart and get started on a western journey which is on par with The Unforgiven. Gritty, raw, and taste the dust in your mouth.